Christmas is indeed a time for many things. It is time well spent with our families and our friends, a time for celebration, a time for passing down holiday traditions (as well as creating new ones); and, of course, with the end of year approaching, it is a time of reflection and resolution. Moreover, with the abundance of festivities that our communities offer over the holidays, it’s a time to try new things, and to collect memories with your loved ones. With the joys of Christmas comes, of course, the stresses of the season. It’s only natural. We host parties, allow for relatives to spend a night (or two), and typically spend a little more money on maintaining our homes, among other things. This said, it’s important to plan accordingly. One of the biggest factors that tend to impact our pocketbooks is our hydro usage. And with all the hustle and bustle that is the holiday season, we must be cautious with when and how often we use it. Luckily, Hydro One has set, off-peak hours (that include weekends and holidays) with set, off-peak prices. What this means is that on Christmas Day, on Boxing Day, and even on New Year’s Day, these off-peak prices, when you utilize your main hydro sources between 7:00 PM and 7:00 AM, will apply. Furthermore, being mindful of your guest’s access/usage of such amenities as cable and/or WiFi is also key. It’s important to be diligent with whom you share your passwords with, and cautious as to how often you turn on your television in order to entertain. Failure to keep track can result in a relatively hefty bill at the end of the month. Less money spent, and less stress to be had. 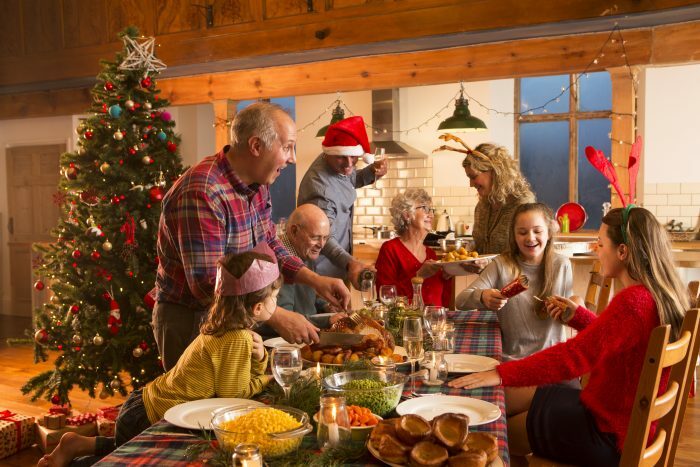 With respect to controlling your stress levels over the holidays, there are several ways that you can host and entertain your guests inexpensively and effectively. To avoid the cable costs of perhaps always having the game on, why not host a movie night instead? There’s nothing like reminiscing over the classics that we all grew up with. Games are also a great way to create memories on a low budget. They allow for us to bond with our friends and our families, all while creating new traditions along the way. Want to transform your home into the winter wonderland you’ve always imagined? Tree-trimming parties are an excellent way to decorate your home for the holidays, and host an unforgettable evening filled with laughs and creativity. So turn on those catchy Christmas tunes that we all (secretly) admire and enjoy, sing aloud to the words you know and love, cook up some munchies and capture all that this holiday season has to offer. Lastly, and above all else, remember the importance of togetherness. Volunteer. Donate to your local charities. At Royal LePage, we are committed to strengthening the communities we live in – that’s why we have The Shelter Foundation – our very own charitable foundation that helps women and children escape from violence and rebuild their lives. Contributing to a good cause is another great way to alleviate added stress over the holidays. To find out how you can donate, follow this link. Have a safe and happy Christmas! The post Costs on Your Home Over the Christmas Season: Trimming the Holiday Stress appeared first on Team Realty.